Artists’ Reception: Friday, March 21, 5 – 10 p.m.
Saturdays, 11 a.m. – 5 p.m.
Sundays, 1 – 5 p.m.
For its March exhibition, if ART presents at Gallery 80808/Vista Studios Abstracted In Nature, featuring Columbia artist Laura Spong and German artists Reiner Mährlein and Silvia Rudolf. Spong will present a new series of her non-objective paintings. The work includes Good Report, Bad Report, No Report, a 2007 composite painting of 100 x 80 inches, consisting of 25 paintings of 20 x 16 inches each, arranged in a five-by-five grid. 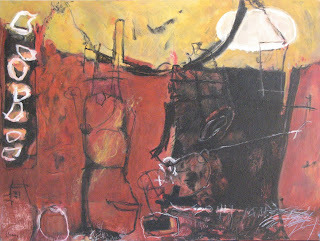 Rudolf will show non-objective and abstracted, figurative paintings and drawings. Mährlein will show large and small metal-and-granite sculptures as well as one-of-a-kind rust prints and embossings. Mährlein (German, b. 1959) is a widely acclaimed artist in the German state of Rhineland-Palatinate. He is part of a regular exchange between artists from Columbia and its German sister city, Kaiserslautern. Mährlein studied art in Nuremberg and at the prestigious Ecole Nationale Superieur de Beaux-Arts in Paris. He has created large, public sculptures throughout his home region and has exhibited widely throughout Europe. 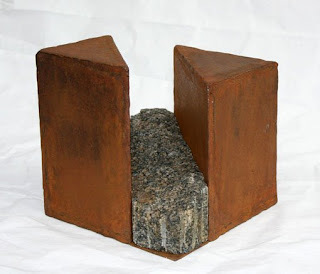 The medium for both of Mährlein’s art forms is granite and steel. Mährlein creates the prints by pressing rusty steel plates against paper and paper against granite surfaces. 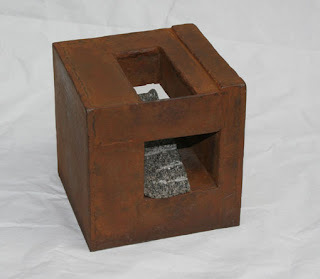 This results in abstract works with a rich and rough, three-dimensional and architectural feel. Rudolf (German, b. 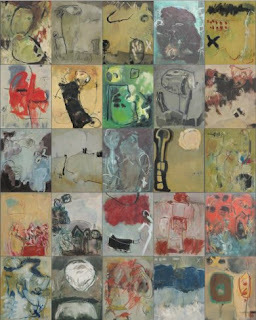 1957), who received her art education in Kaiserslautern, lived in Argentina between 1994 and 2000. There, she founded the artist group “transit.” In the past two years, she has lived in New York. Her work has been in solo and group exhibitions in Germany, the United States, Argentina and several other European and Latin American countries. Group shows include the first Biennale of Modern Art at the Museo de las Bellas Artes, Buenos Aires, Argentina. Her solo shows include one at the Museos de la Ciudad de Buenos Aires. Columbia, S.C., artist Laura Spong (b. 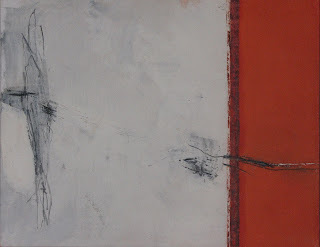 1926) is among South Carolina’s most prominent non-objective painters. In the past two years, Spong has further increased her reputation with four solo exhibitions, including a retrospective at the University of South Carolina’s McMaster Gallery. For her 2006 exhibition, Laura Spong at 80, Columbia’s if ART published a 32-page catalogue. In addition to the S.C. State Art Collection, Spong’s work was purchased recently by the Greenville (S.C.) County Museum of Art and the S.C. State Museum. Three of her paintings also are in the Contemporary Carolina Collection, which was established in 2008 at the Medical University of South Carolina’s Ashley River Tower in Charleston. To visit Gallery 80808/Vista Studios, click here.